A beautiful sunny day we set off to explore ashore. 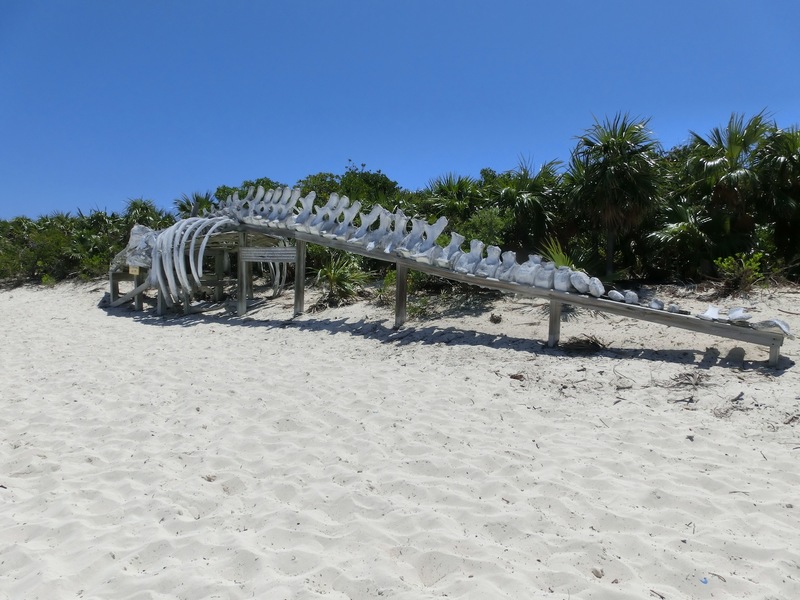 We can now get up close and personal with a giant normally out of our reach because on the beach they have reconstructed the skeleton of a 52 foot Sperm Whale. 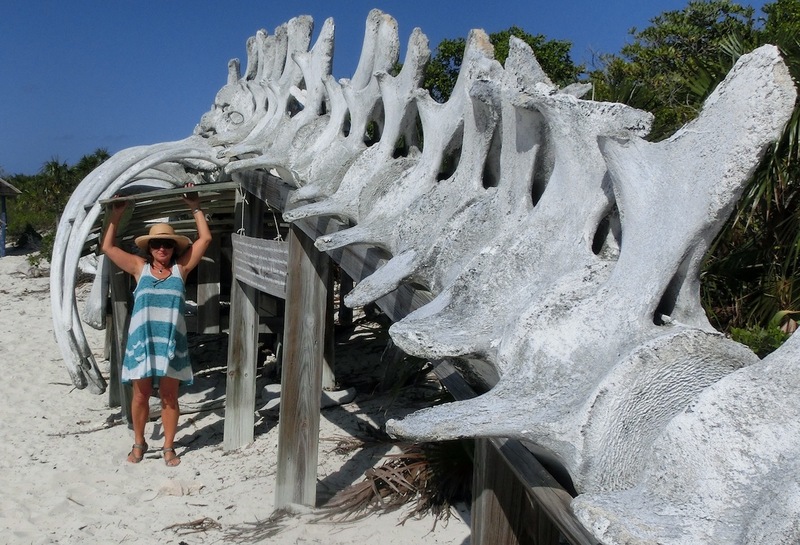 Nothing prepares you for the size of these huge boney structures until you get hands on and investigate. 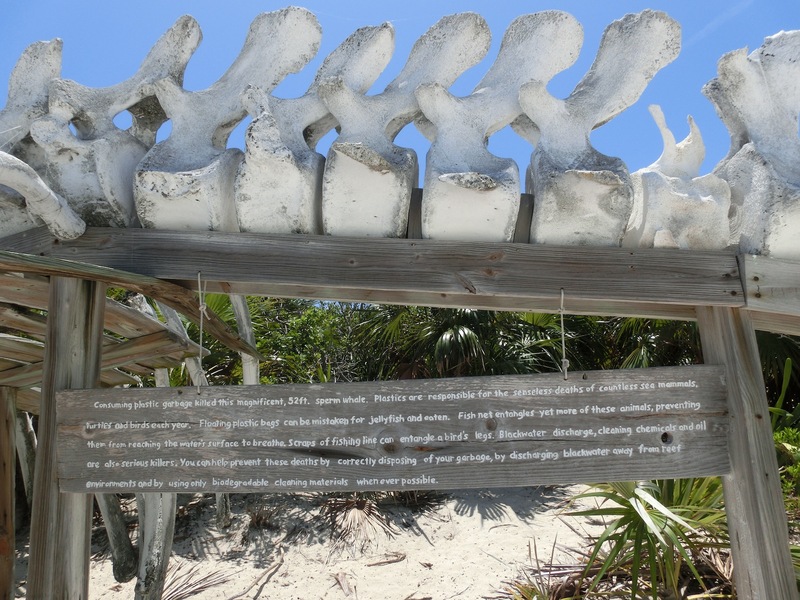 The bone tissue is breaking down a little where the tough outer surface has been weathered off somewhat, exposing the inner bone tissue that has the same texture and density of pumice stone. The sad story behind the whales demise is once again the carelessness of mankind, this poor animal consumed plastic garbage which killed it. 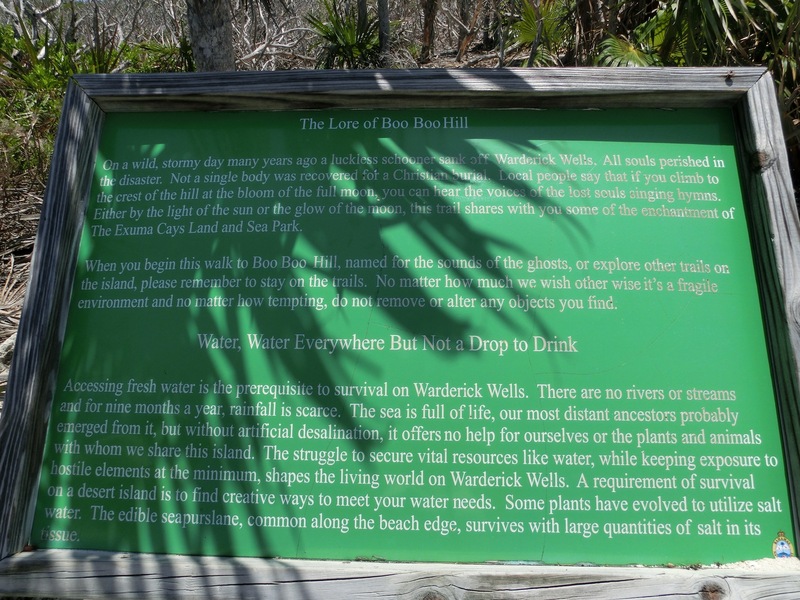 We set of along the Boo Boo Trail to Boo Boo Hill the lore of which claims that one wild and stormy night a luckless schooner sank off Warderick Wells and all souls were lost. Locals say that if you climb to the crest of the hill at the bloom of the full moon you can hear the voices of the lost souls singing hymns. Looking though the hatch we see that the full moon will be tomorrow night but you wont find us on Boo Hoo hill! Before walking the short distance up the hill, we walk out across the rocks in search of the blowhole. As it was low tide there was nothing obvious happening. As Lesley made her way forward there was a deep blowing noise like a Whale exhaling. We knelt down and felt the force of the warm air coming up through the hole making this deep reverberating exhale. We wondered if on a moonlit night out on the hill these noises could be mistaken for the hymns of the lost souls? So we walk up the trail and what do you think we find on top of Boo Boo Hill? 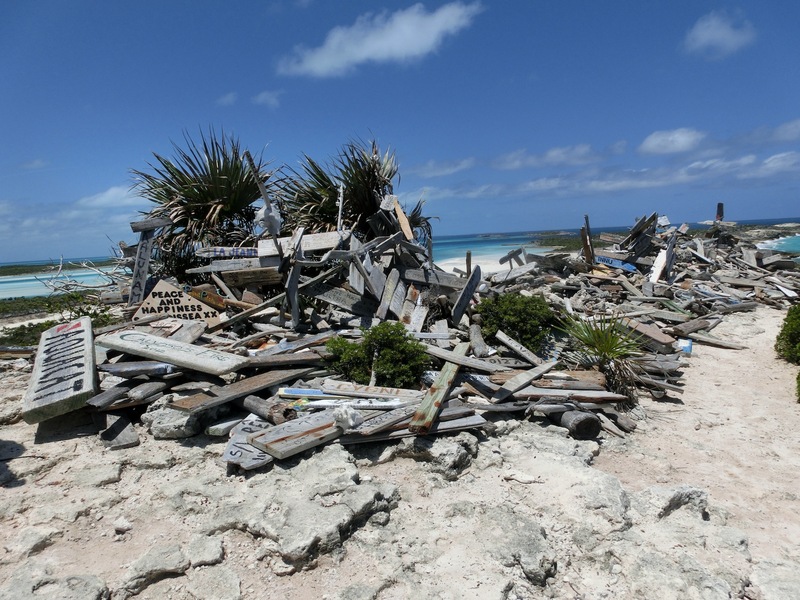 It’s the new Camp Driftwood and sailors are invited to leave their mark. What don’t we have with us? Yes you guessed our painted driftwood which is of course back at Suliere. 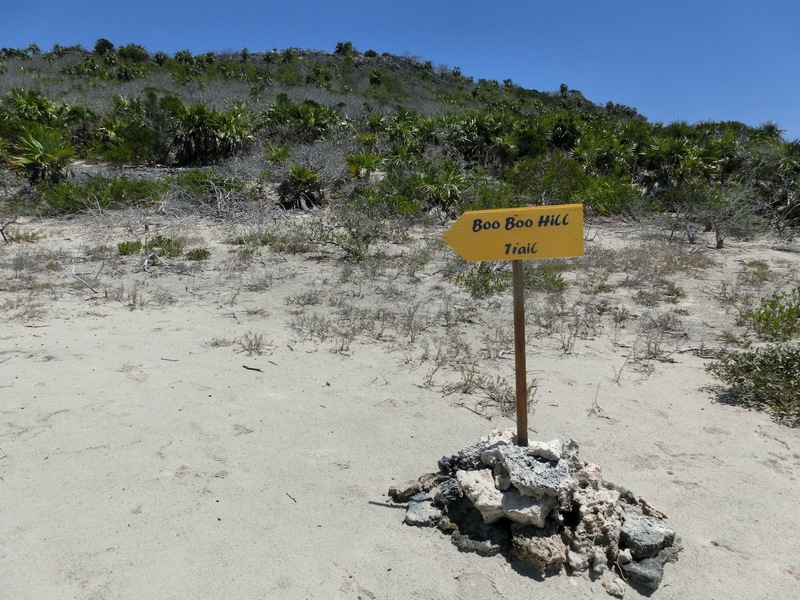 Oh well another good reason to come back and witness the blowholes at high tide tomorrow and explore a little further along the trail. « All dressed Up with No Where to Go.